Stefan Grotefeld was born in Germany in 1965. After studying protestant theology in Munster, Heidelberg, Berlin, and Zurich he took his doctorate degree from the University of Heidelberg in 1993. He earned his habilitation in 2006 at the University of Zurich with a study on the demands of public reason and the role religious arguments may or may not play in public debate. As an ethicist his interests lay in the fields of political ethics and business ethics. 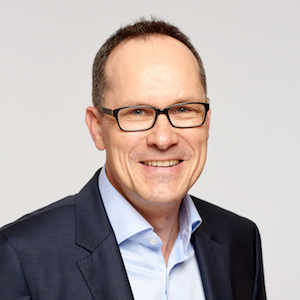 Today, Stefan Grotefeld is adjunct professor for systematic theology at the University of Zurich and head of the department Lebenswelten of the Reformed Church of Zurich.